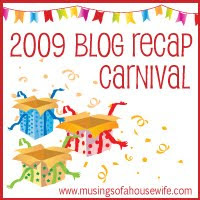 I'm linking up to Jo-Lynne's "2009 Blog Recap Carnival" today. Basically, I just took the first line from the first post of every month from 2009. Ahhh, a stroll down memory lane. Too much . . . food . . . family . . . friends . . . fun . . . flinging of the remote controller . . . fighting the crowds at the mall . . . candy . . . cookies . . . chocolate . . . car-riding . . . Christmas lights . . . movies . . . munchies . . . merry-making . . .
A little recap of our 2008 holiday season. Fun! Seems like everyone is getting into the "25 Random Things About Me" craze these days on Facebook. My 25 random things. Come on, everybody's doing it! B and I are in the throes of choosing a college. Those college guidebooks are really funny sometimes! Since we've been here, B and I and whoever wants to come have been heading down to walk the beach every morning. Some photos from our wonderful trip to Kiawah Island, SC. Our fifth visit there did not disappoint. This line in this post made me laugh as I read it again: "Is Joe Biden a lunatic? Just wondering." Since all two of you decided to vote on which story you'd like me to tell (I can see that my readers are an opinionated lot), here it is. I aim to please. This is one of my funniest posts of the year, in my opinion. All about how moms embarrass their teenagers. When last I left you, B and I were headed to McDonald's to get a Coke after the wedding. Remember the Greek Wedding? This one's Part 2. To get the full story, check out Part 1 as well. Ahhhhh. That's me breathing a sigh of relief and contentment to be back home from She Speaks in North Carolina. A recap from my wonderful time in North Carolina. Whew! So yesterday I mentioned that we took the girls to see Carrie Underwood on Sunday night. Just pokin' a little fun at the hubby. You may have noticed that I don't do many book reviews on here. Here's where I reviewed Mary DeMuth's new book, A Slow Burn. Wow, what a read! This week is an anniversary of sorts. For me. And for my family. I started out November by being very, very thankful for my health. Here's where I tell the story of my unfortunate encounter with a scalpel back in 2007. I liked this post, but I really liked Part 2 better. I don't think I'll ever forget dear Marge who taught me so much. This deal is just too good to keep to myself. Sometimes blogging (or reading blogs) just pays off. Big time. And believe me, there is more fun to be had in 2010. 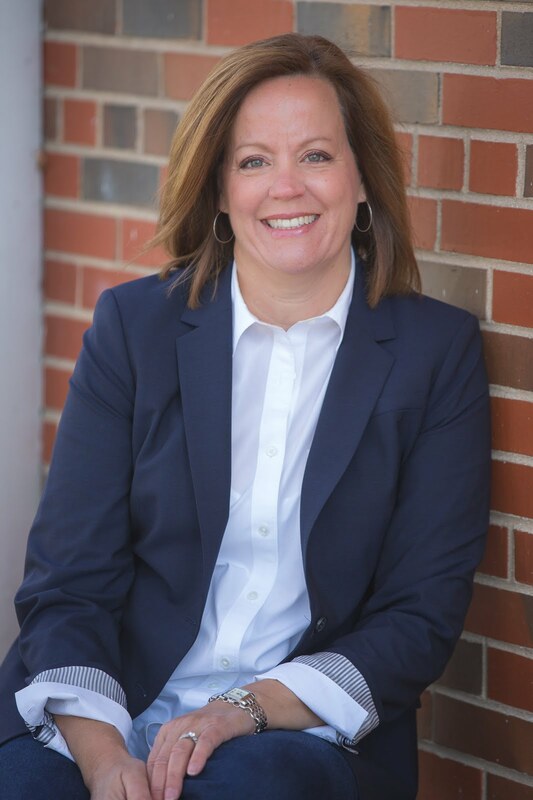 I'm not going anywhere (well, O.K., I am going a few places next year but what I mean is that my blogging habits will not end), so come along with me for the ride. I'm looking forward to it, and I hope you are too. Oh my! It was a great year wasn't it? I pray that 2010 is even better. I really enjoyed the recap but I enjoyed the "look ahead" post too! Great idea! It is just so much fun to blog. I wish everyone would do it. May you have a blessed 2010! Need a Quick and Simple Christmas Gift?